One of the eight districts of The Hague, Scheveningen is known for its beautiful views, amazing pier and the famous water sports that take place. During the summer months, this district becomes a beach resort wherein tourists from all across the world come to vacation. There is even a large stretch of the beach dedicated to nudists as well as sections for sunbathing and watersports. The early beginnings of the district are shrouded in mystery. While the earliest mention is seen in 1280, there is little mentioned again until 200 years later. 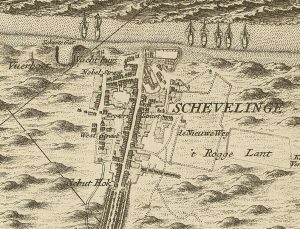 Scheveningen first came to fame in 1653. 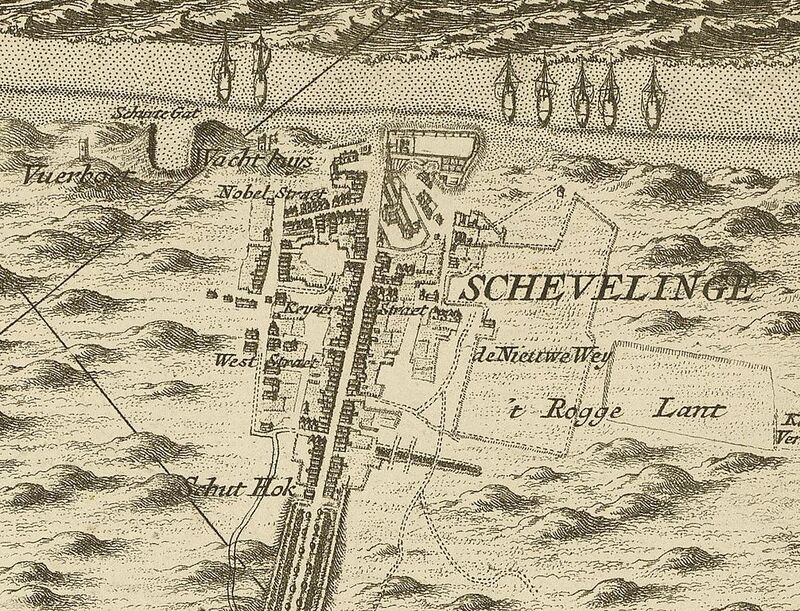 During this time, there was a battle dubbed The Battle of Scheveningen that took place between the English and Dutch. The battle never made it to land and was fought fleet against fleet. During this time, it is said that all of the locals gathered on the beaches to watch the battle ensue. The connection to The Hague would be made in 1663 where a road was built connecting the two together. Besides major storms being seen, there is not much said in the 1700s about this now thriving resort town. This seaside resort came into formation in 1818. This is when the very first bathe house was constructed. The original was created by Jacob Pronk and featured four separate rooms. The bathe house was located on the beach’s famous dunes and started the trend of this district becoming a tourist hotspot where Europeans often visit. In 1886, Kurhaus opened its doors as a hotel and restaurant. This hotel is still in operation today and has become a landmark of sorts. The famous harbor which has turned into a major fishing port was built in 1904. This harbor is open to the public and tourists normally visit to buy fresh fish or simply take pictures of the picturesque views or boats. 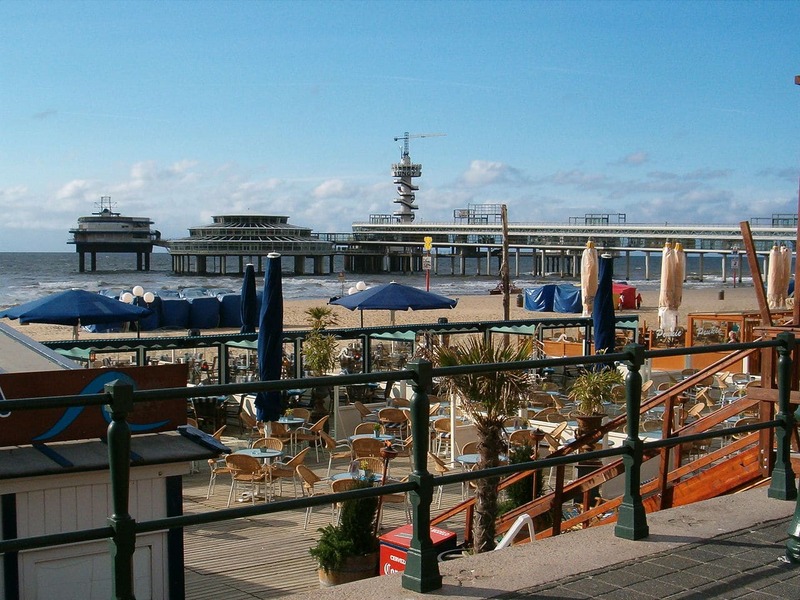 While Scheveningen is a district of The Hague, it has always maintained its strong identity. The district once had its own soccer club and a variety of other facets that sets it apart from other districts seen. 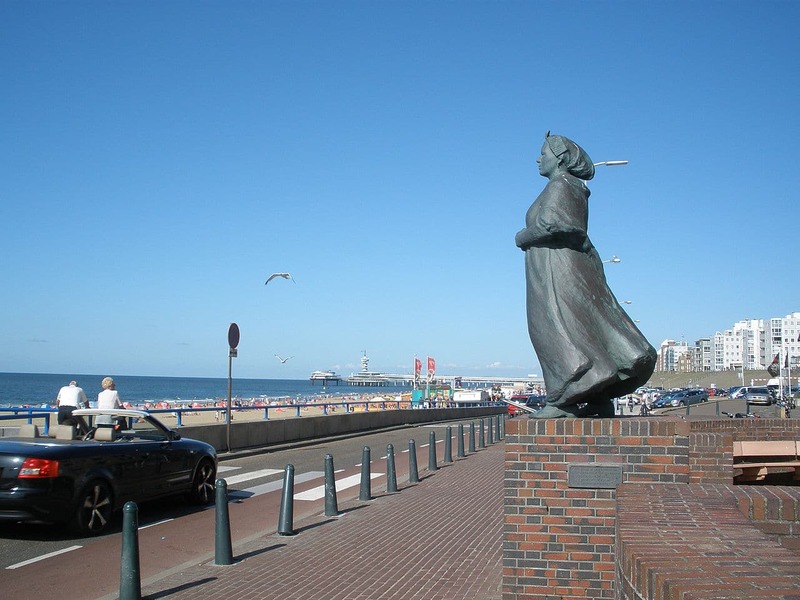 Major storms have had a major impact on Scheveningen with four major storms hitting during the 1800s alone. These storms saw many of the old churches and homes washed away. There are also many beaches in which tourists can visit. Those that want to experience a nudist beach will find that the northern end of the district has a 1km nudist section. Haven: This is where the port is found. Dorp: This is where the old fishing village stands. Bad: This is the bathing area and where tourists normally go. The lighthouse must be visited as well. This beautiful red structure is easy to see from the beach and will flash its lights every 2 – 7 seconds. If you have never seen the lighthouse before, it is definitely worth a visit. Shopping, eating and entertainment are best on the sea-front. The boulevard has everything a person could want from bars that serve drinks from around the world to restaurants featuring local cuisine and even gambling halls where everyone can indulge in a little fun. The Pathe Scheveningen movie theater is also open all year long and is the epicenter of fun and entertainment. The district is the perfect place for biking and rental shops are commonplace. Those that much rather take public transportation so that they can enjoy the sights will be able to do so. There are two main methods of public transportation offered. Trams: The local trams will bring guests to and from The Hague. There are two trams in operation. These trams are tram 1 and tram 9. 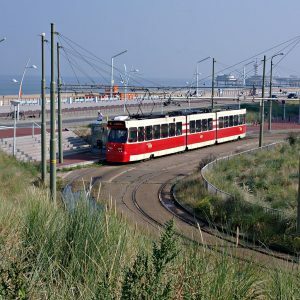 Bus: Many people choose to take a bus from The Hague right to the northern beach. Bus 22 is both affordable and fast. 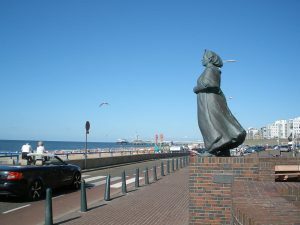 Scheveningen is the perfect location for tourists. There is ample transportation, beautiful beaches and a person never has to go far to find food, fun or gambling. There are hotels all along the boulevard and the lighthouse provides an indescribable ambiance for all tourists. 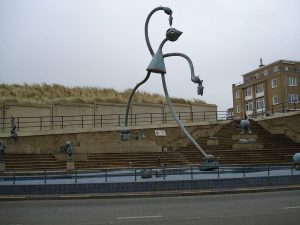 Scheveningen Beach is a beautiful sprawling beach with activities that will keep guests and locals occupied at all times. This beach resort first started out as a fishing village. 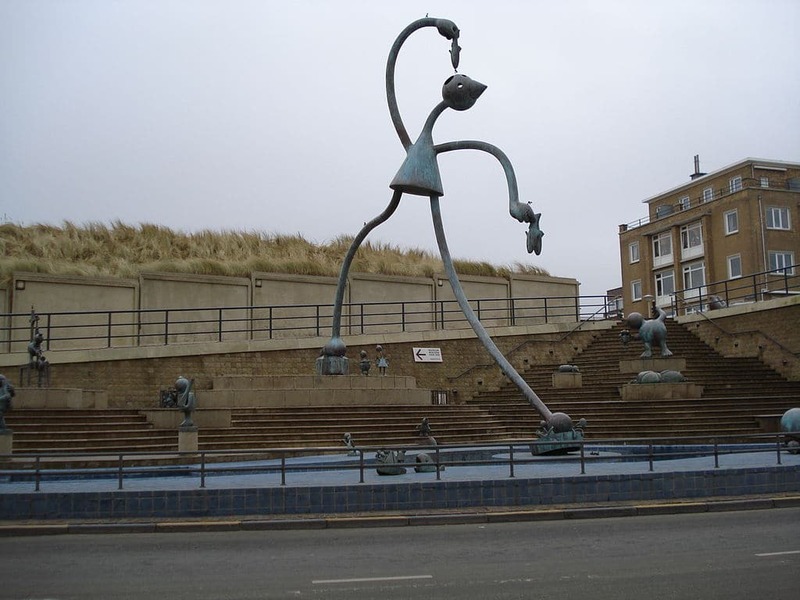 When the village decided to become part of The Hague, it quickly turned into a seaside resort that boasts picturesque beaches and amazing local fairs. Haven: This is the typical port that boasts fishing boats. This is where guests can go to buy delicious fish as well as eat freshly caught fish. Dorp: This is actually where the former fishing village was located. There is not much to see here, but many tourists do go to this part to take pictures. Bad: This is the hotspot for bathing. This is where most people go to and it is packed with fun and excitement at every corner. Trams: Trams number 1 and 9 bring guests from The Hague right into the city. 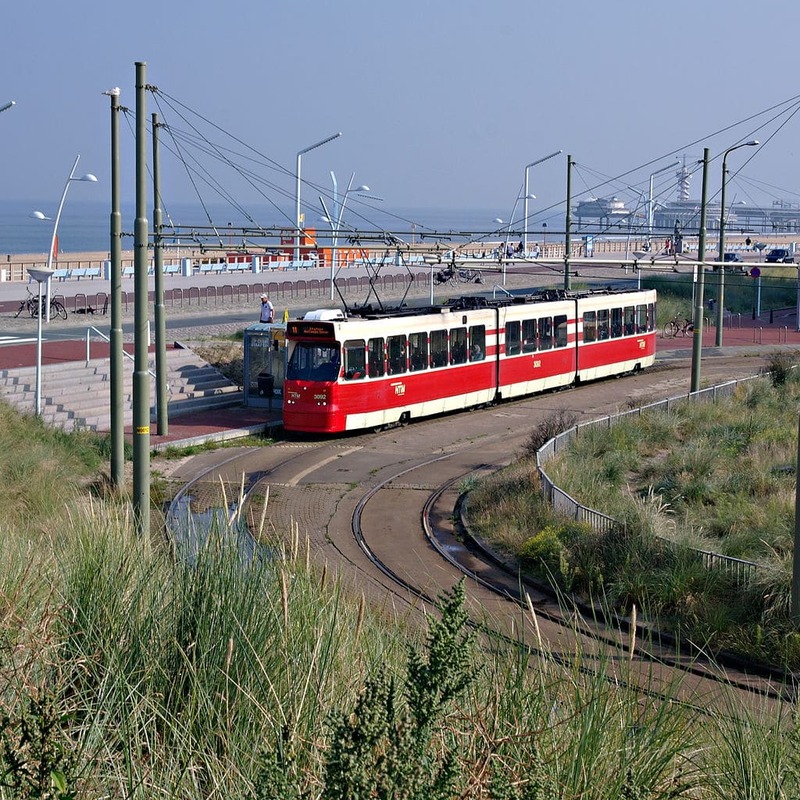 Bus: Those wanting to go directly to the beach can take Bus 22 from the central train station in The Hague right to the northern beach. There are activities that will be able to meet any person’s likes and desires. These activities range from snorkeling in the waters to various water sports as well as renting a beach chair and simply sunbathing. Windsurfing is also a very popular activity as well as a powerboat rides that really allow guests to enjoy the open waters. Surrounding the beach itself are many restaurants and bars wherein anyone can grab food or drinks. There is an immense nightlife with a lot of people waiting to watch the lighthouse flash its lights every 3 – 7 seconds. During the summer, there are weekly festivals and even fireworks. At least once per week guests will be able to enjoy a fireworks display on the beach. Oftentimes, this can be seen multiple times a week with many festivals putting on their own displays. The nightlife is always fun as well as the famous gambling halls and other activities taking place in the city.